Anyone got a confirmed raid defense or opinions? Triple Robotronus. Right down the middle. I manage to win 1 out of 5-7 Raid Defences nearly always. And Technojack while ur at it. Robotronus is the all-purpose PITA. 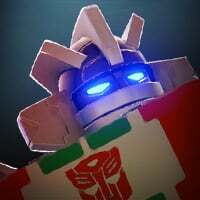 Technojack, HAjack, Techponok are three other surprises to punish those who didn't bring the right bot. Once I get my 5 star robosaurus you guys are done for good.